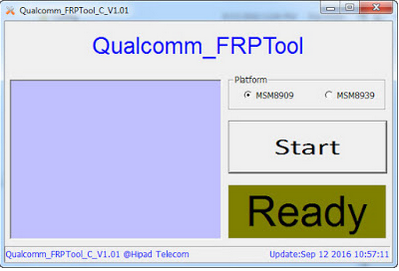 Qualcomm FRP removal tool or unlocker tool free download for all PC windows from here. If you are searching for Qualcomm FRP removal tool and you are landing in this page, don't worry you are in right place, you have to follow download instructions to get full setup installer file free from this landed page. This is an actual small application for remove/unlock/bypass FRP of Huawei Qualcomm smartphones. Simply if you want to remove or unlock your phone FRP then this tool is more helpful, just download from here and install it on your windows to start unlocking/bypass/removing. What is Qualcomm FRP Unlock Tool? Qualcomm FRP unlocks/remove/bypass tool is actually windows application, through this brilliant tool you can easily remove all FRP's or unlock FRP's. So You don't have to watch any tutorial related to Qualcomm tool, to get full information and knowledge about this tool from this landed page. Simply you need to download Qualcomm FRP removal tool from below download link and installed it on your PC windows. When you open this tool on your PC screen then all instructions are as mentioned, you have to follow and then unlock. Qualcomm FRP unlocks/bypass tool compatibility for all windows operating system for both 32 bit and 64 bit. No matter you have any of windows operating system. When you are going to unlock your phone FRP then boot your Qualcomm android device in fastboot mode and then connect your phone via data cable to PC where you have installed this FRP removal tool. You must have downloaded and install its required USB driver and installed full setup USB driver on your PC. Otherwise, you have face different issue while connecting the mobile phone with PC. Also, check "Ultimate Driver and ADB full setup"